Not only is this a microscope made of paper, costing a total of fifty cents to produce, it can stand up to being thrown, stomped on and dunked in water. 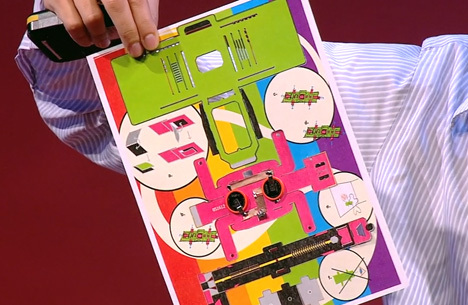 And it comes in a flat-pack of yardstick that takes just a few minutes to assemble. 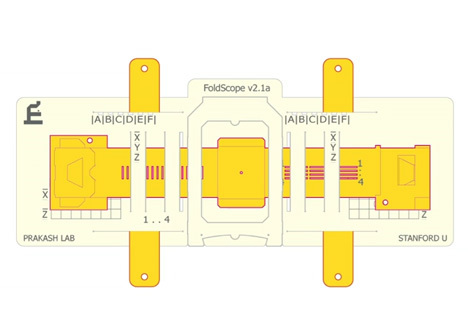 Foldscope by Manu Prakash has the potential to transform the way disease is identified and diagnosed in developing parts of the world. 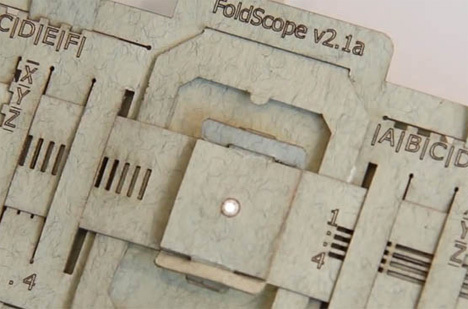 Demonstrated in a 2012 TED talk, the Foldscope is about the size of a bookmark and based on the principles of origami. It has no mechanical moving parts and it’s cheap enough to disseminate for free and incinerate after use to safely dispose of infectious biological samples. It might not seem like a lens this tiny would be powerful enough to identify samples of microbes like Giardia or malaria, but the unique optical physics of a spherical lens held close to the eye can magnify samples up to 2,000 times. The lens is about the size of a poppy seed and costs about 17 cents. 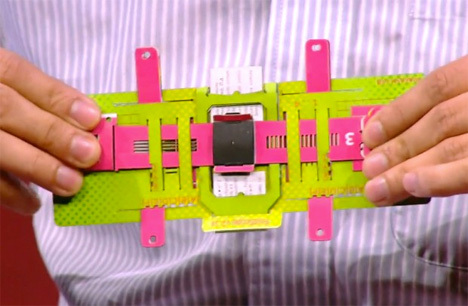 It can be press-fit into a small hole in the center of the slide-mounting platform on the paper microscope body.